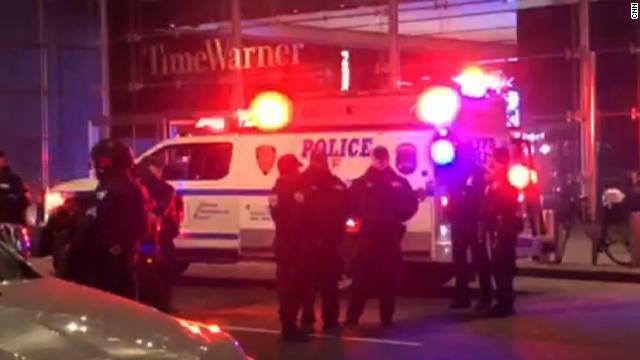 CNN’s New York offices were evacuated Thursday night after a bomb threat, but no explosive was found and police later gave the all clear, the network said. The roughly 90-minute drama recalled a similar evacuation in October after an explosive device was discovered at CNN’s New York headquarters. Fire alarm bells rang inside the newsroom to signal an evacuation shortly after 10:30 pm, CNN said on its website, as the network went to pre-taped programming. “People just tuning in wondering why you’re seeing me on Skype, why there’s such technical difficulties, it’s because we have been taken off the air because a bomb threat was called into CNN,” said host Don Lemon.